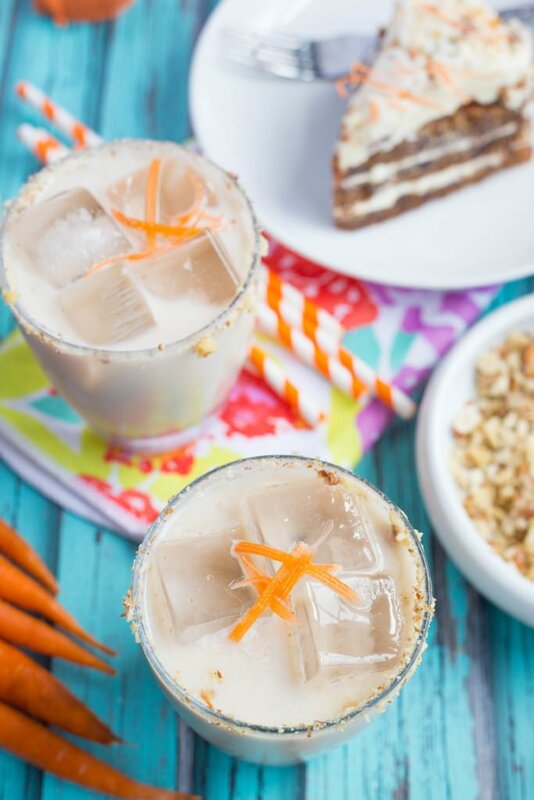 A Carrot Cake White Russian is a creative way to celebrate Easter, Mother’s Day, or the beginning of spring. 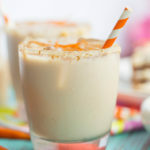 Loaded with sweet cake vodka, rich coffee liquor, luscious Irish cream, and buttery Butterscotch Schnapps, this sweet alcoholic drink absolutely takes the cake! Oh, the White Russian Cocktail. They’re one of those absolutely indulgent, only have them on certain occasions, after dinner, sinfully delicious sweet alcoholic drinks. And a Carrot Cake White Russian? Goodness knows, they’re 10 bajillion times better than the classic cocktail, and they’ll have you mimicking the Big Lebowski the entire week of Spring Break. The Carrot Cake White Russian is a combination of two cocktails I made during my bartending days: A classic white Russian mixed with the crazy delicious carrot cake shot…except I did make one key change. 1. I loathe cinnamon schnapps with a fiery passion. 2. The schnapps made the cocktail taste too much like cinnamon candy. 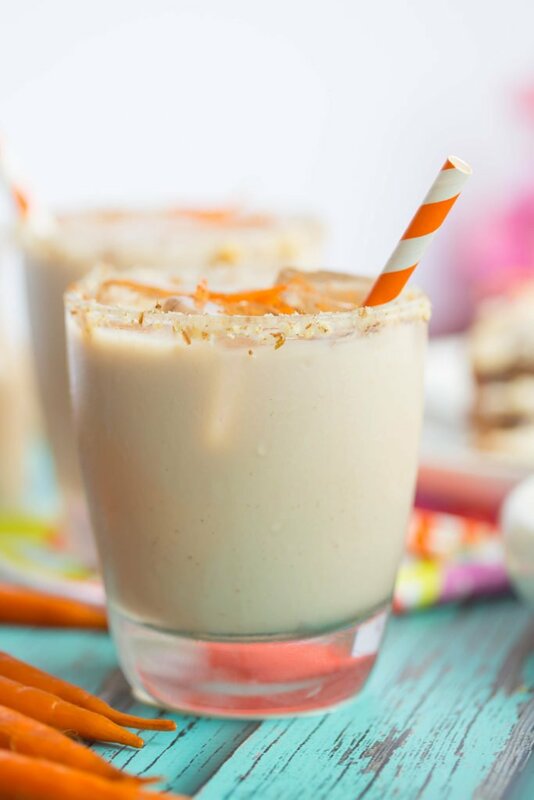 Cake Vodka (which I had a hard time finding so vanilla works too), ground cinnamon, and the pecan studded cream cheese rim keep these sweet cocktails tasting exactly like your grandmama’s carrot cake she served on Easter Sunday. Standard White Russians, aka The Dude Drink, are comprised of three simple ingredients: vodka, coffee liquor, and cream served over ice. Simple, elegant, and decadent. Since the Big Lebowski had his Dude Drink, I decided there should also be a Dudette Drink. Ya feel me? This White Russian recipe is also loaded with liquor, but it’s lightened up with the half and half making it rich but not too strong. They’re also quite sophisticated, definitely more frou frou, but we all know that won’t stop the dudes from stealing a sip every chance they get. 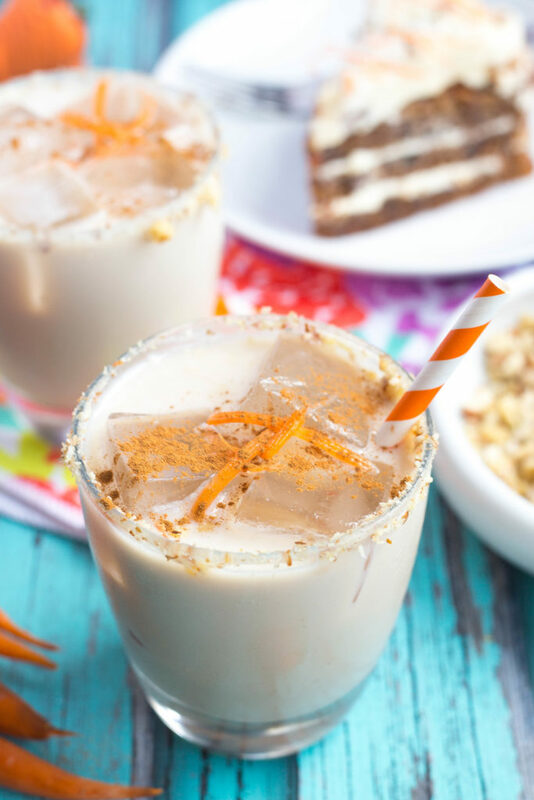 Carrot Cake White Russians are a creative way to celebrate Easter, Mother’s Day, or the beginning of spring. Loaded with sweet cake vodka, rich coffee liquor, luscious Irish cream, and buttery butterscotch schnapps, this sweet alcoholic drink absolutely takes the cake! Rim two high ball glasses w/ the cream cheese frosting and pecans, fill with ice, and set aside. Add vodka, coffee liquor, butterscotch schnapps, Irish cream, cinnamon, and 2 shots of half and half to a martini shaker. Put top on shaker, and shake, until the mixture is well blended. Give it a taste, add more half and half if desired, and shake again, if needed. 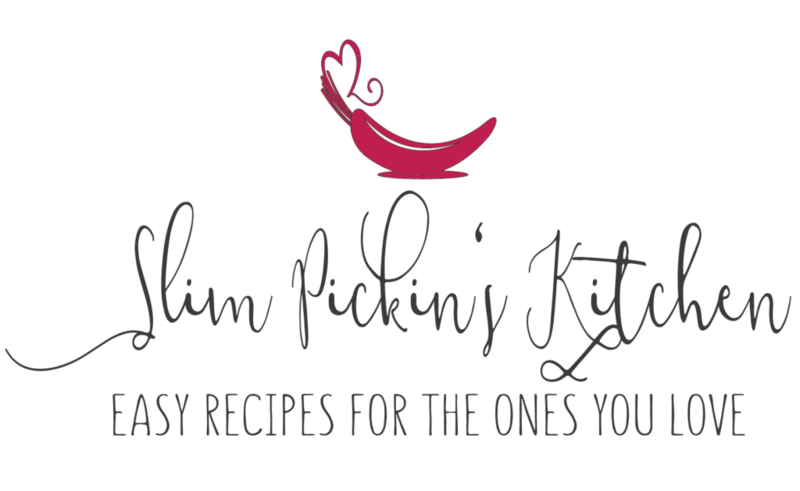 Evenly strain the cocktail into prepared glasses, garnish with carrot ribbons and ground cinnamon, and serve immediately. Twist the rim of a high ball glass into the cream cheese mixture then dip and twist the rim into the crushed pecans so the lip of the glass is coated in cream cheese and pecans. Repeat w/ the second glass. Fill glasses with Carrot Cake White Russians and serve.